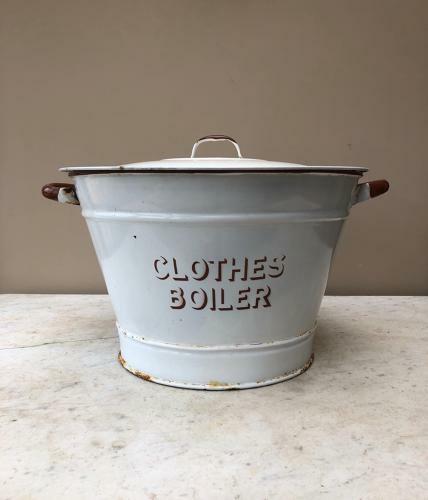 Wonderful Condition Early 20th Century White Enamel CLOTHES BOILER. These are often really chipped or really rusty on the base...missing the lid etc. BUT this one is a clean white with brown writing. SUPERB condition inside...minimal rust around the base (as there always is) but overall a VERY nice example. These are great displayed with hidden storage inside for you wash bottles or similar.